The program will be held on Wednesday, August 29, 2012 at the Atria of Roslyn, 100 Landing Road, Roslyn. 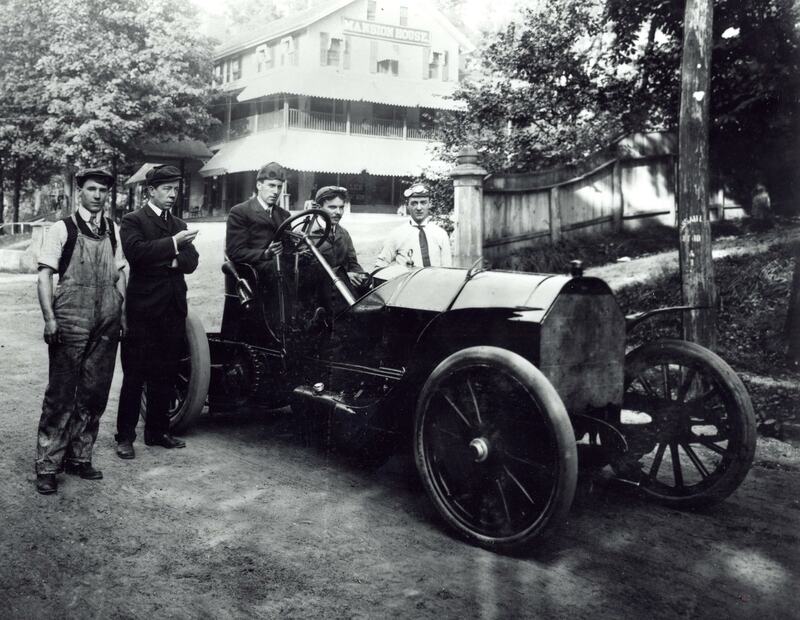 A summer barbeque will begin at 6:00 PM on the Atria waterfront patio followed by the lecture at 7:45 PM.Weather permitting: The 1909 Alco Black Beast racer will also be on display. 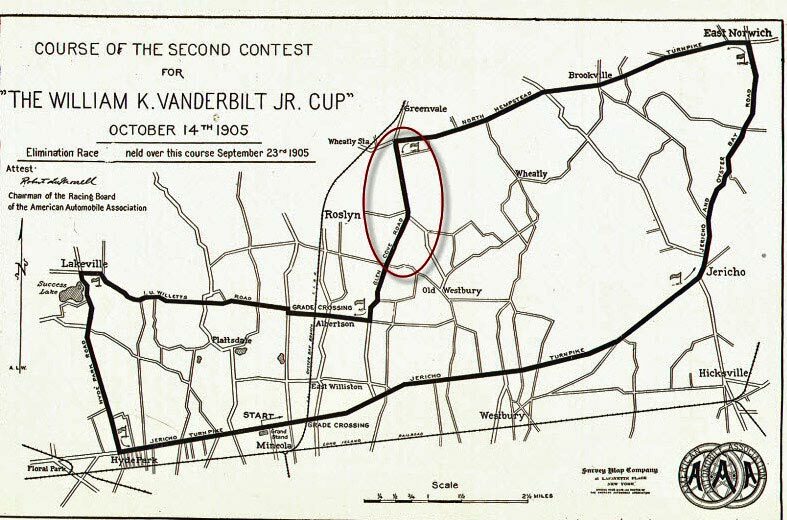 Howard is the Town Historian of North Hempstead, a Trustee of the Roslyn Landmark Society, President of the Long Island Motor Parkway Preservation Society, author of the "Vanderbilt Cup Races of Long Island" and co-author of "The Long Island Motor Parkway". 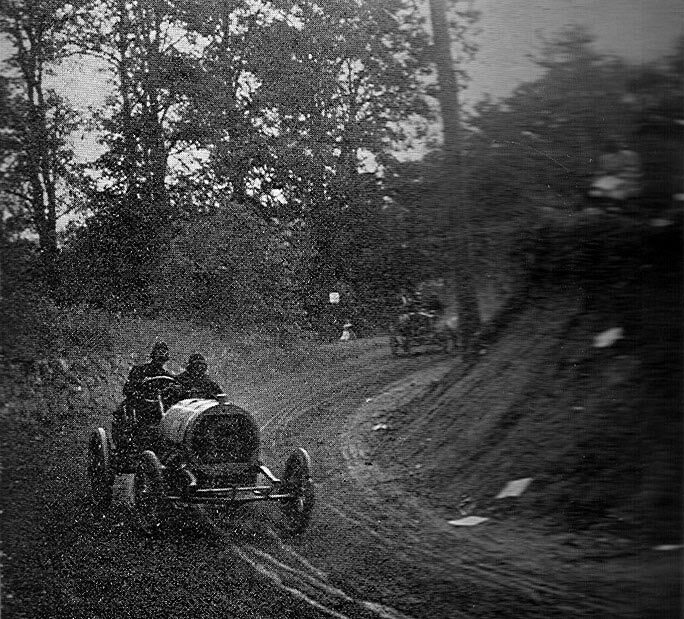 The 1905 course included the Bulls Head Turn at North Hempstead Turnpike and a significant section of Glen Cove Road. 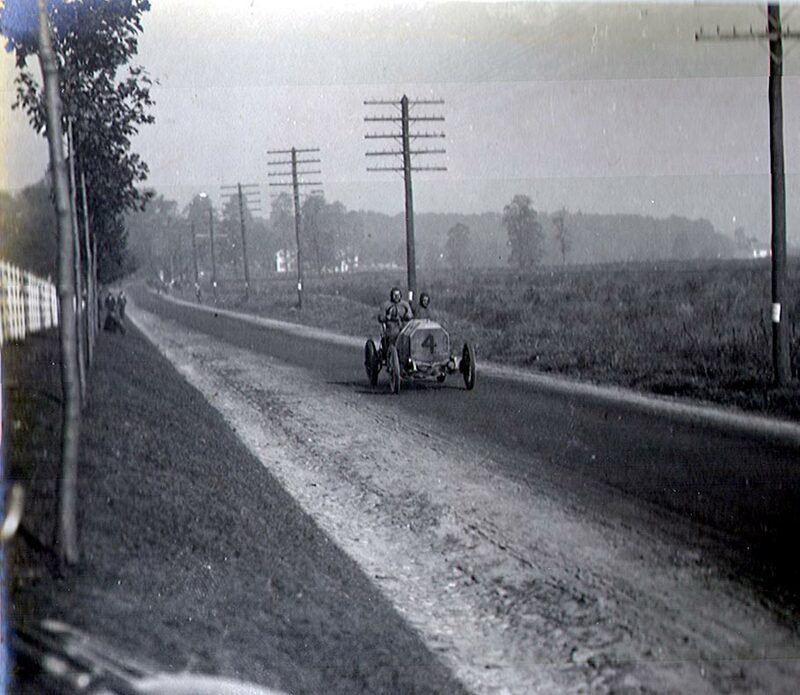 The great Italian driver Vincenzo Lancia practicing in his Fiat on Glen Cove Road. 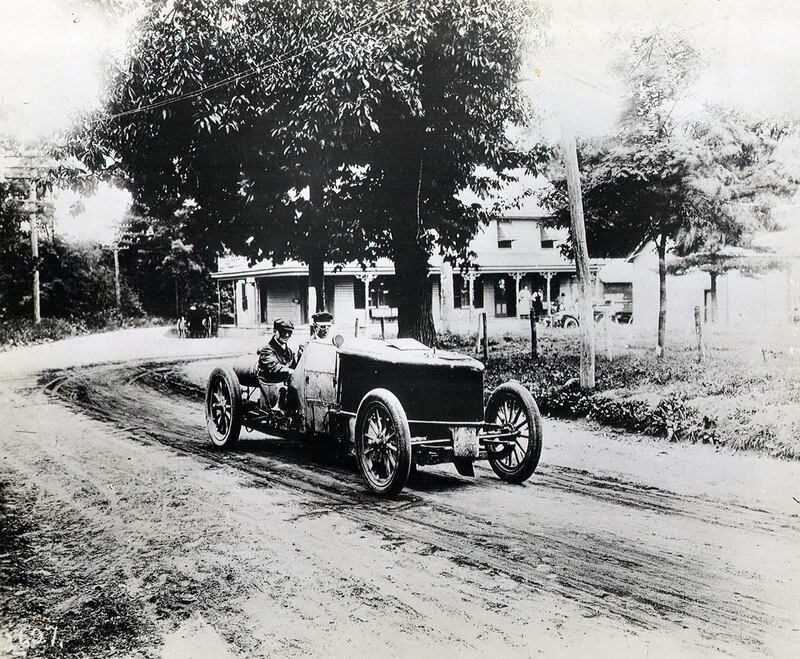 Walter White in the White Steamer in front of Clarence Mackay's Harbor Hill estate on Glen Cove Road. 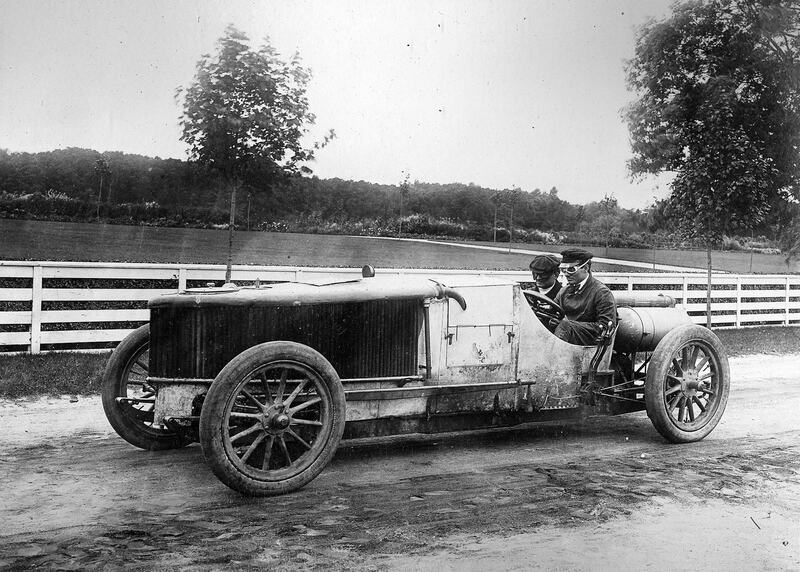 The Mercedes 'X" Racer, assigned the unlucky #13, was headquartered at the Mansion Hotel located at at the corner of Remsen Avenue in the heart of Roslyn. The White Steamer making the turn at Bulls Head Hotel. 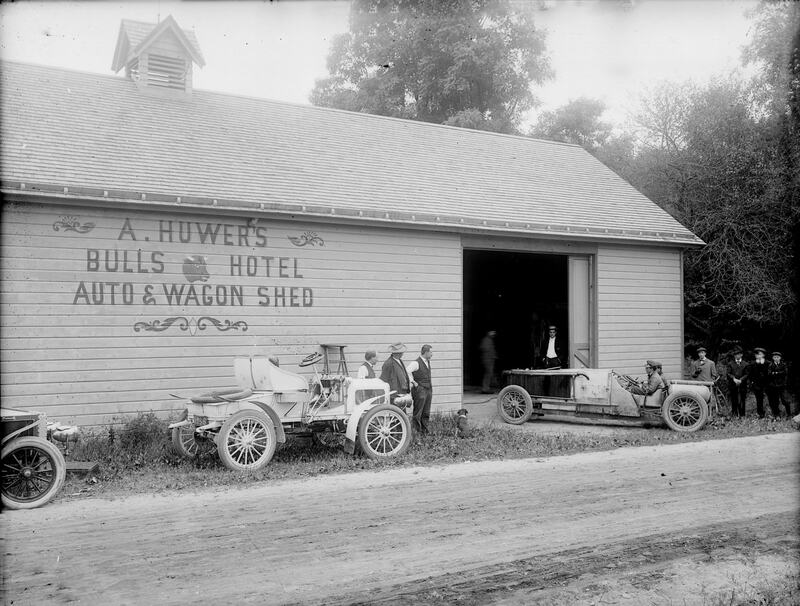 The headquarters for the only non-gasoline racer to participate in the Vanderbilt Cup Races was the Bulls Head Hotel "Auto & Wagon Shed". 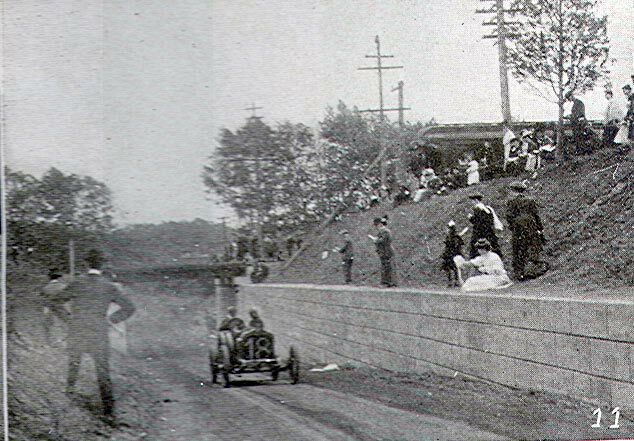 Italian Felice Nazzaro taking the Bulls Head Turn in his #8 Fiat during the 1905 race. The crowd on the right was standing at the future location of Ben's Deli in Greenvale! 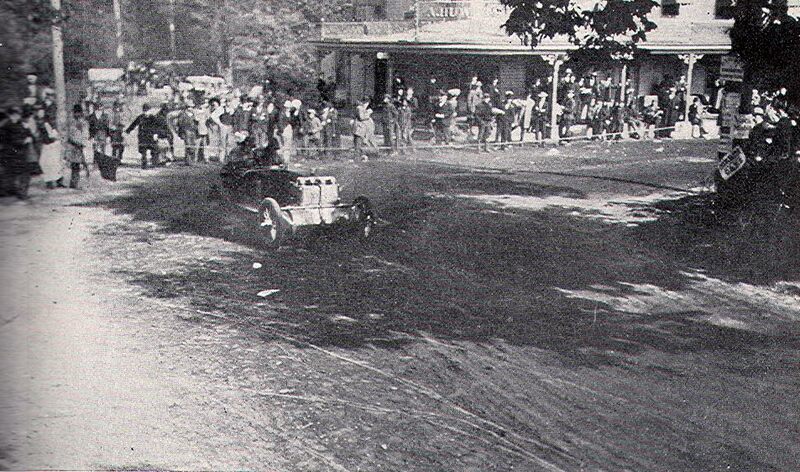 Walter Christie driving his unique front-wheel drive Christie racer at Bulls Head Turn. 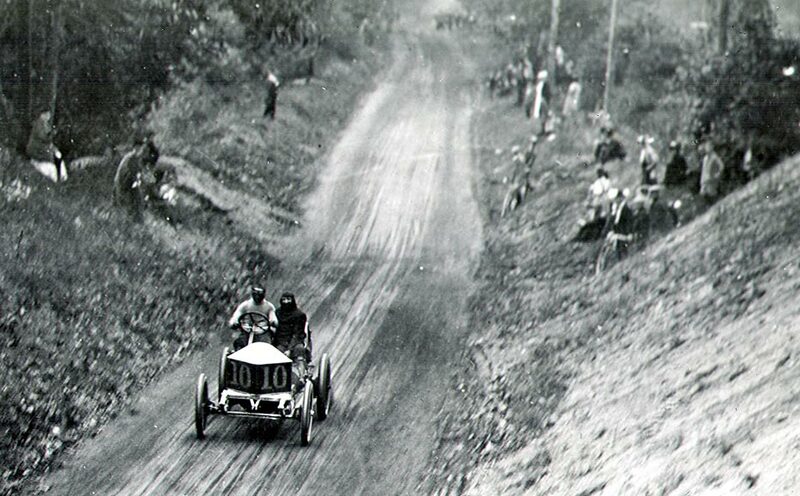 The 1906 course also included Bull Head Turn and a part of Glen Cove Road. The course turned east at Red Ground Road heading towards Old Westbury. 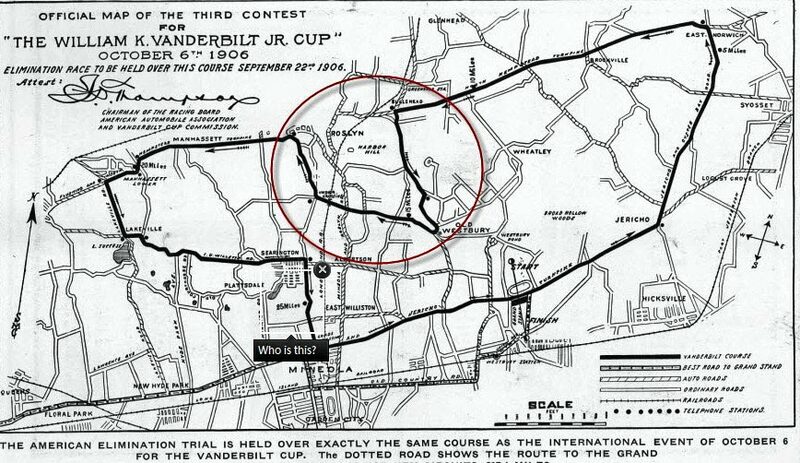 After making the Hairpin Turn at Wheatley Road, the course went on to Old Westbury Road (now the nort service road of the Long Island Expressway) and headed north on Mineola Avenue. The #18 Lorraine-Dietrich after going under the Oyster Bay LIRR Bridge on Old Westbury Road. 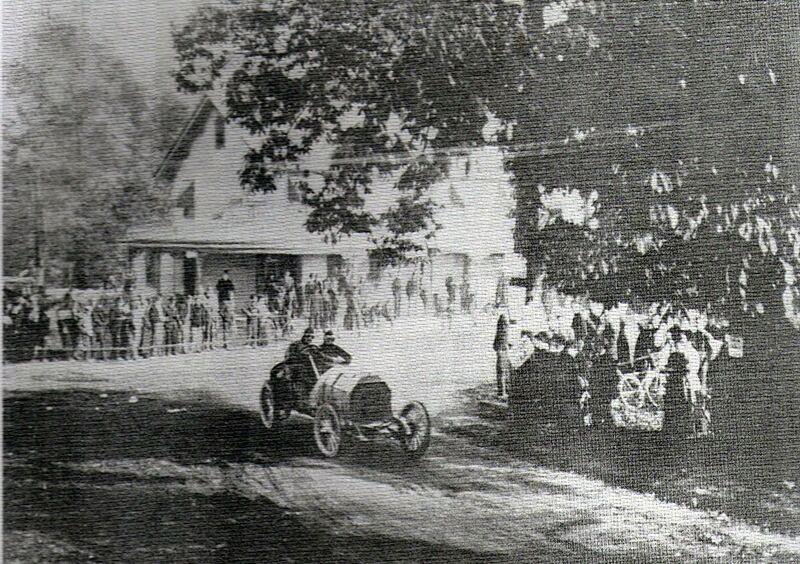 The view from the bridge of Louis Wagner driving his Darracq to victory. Elliot Shepard's Hotchkiss leading Arthur Duray's Lorraine-Dietrich at the intersection of Mineola Avenue and Old Northern Boulevard. Another great set of photos here, Howard. I look forward to seeing the map at Rothman’s.